Be Informed. Live Fit. is a bi-weekly podcast featuring guests from the world of fitness and supplements. Our podcast will be an educational platform designed to deepen our understanding of all things fitness and supplements. The podcast will also feature a segment from the industry leading supplement news website Stack3d.com. The “Be Informed. Live Fit.” podcast will also feature supplement and fitness equipment/apparel giveaways! You must listen for your chance to win! Dr. Jeff Golini from All America EFX (EFX Sports) joins the show and discusses the creation of Kre Alkalyn, Karbolyn, scandals, new ingredients and more. Marc Lobliner of MTS Nutrition and Mark Glazier of NutraBio join the show to discuss the supplement industry, changes that need to be made and the future. Matt Jansen, trainer of some of the best bodybuilders in the world, including "Big Country" Dallas McCarver, discusses his early years in bodybuilding, training methods, nutrition advice, the passing of Dallas McCarver, steroids, women in bodybuilding and his 2019 Mr. Olympia campaign. Well-respected fitness trainer Adam Bisek discusses his start into fitness, his own transformation, having a large booty and the ups and downs with competing. WWE Superstar Ariya Daivari discusses staying in-shape on the road, eating healthy, working out and an injury that almost caused him to retire. Alex Ardenti, film director and producer of SUPPS The Movie discusses his career in photo and film within the fitness and nutrition industry, working with Rich Piana and previews SUPPS The Movie. Fitness Informant CEO and Founder Ryan Bucki tells the story of how Fitness Informant went from an idea to a full-time career. Download and subscribe now! The 4x Mr. Olympia Champion Jay Cutler discusses his new supplement line Cutler Nutrition, working his way up in bodybuilding, competing against Ronnie Coleman, the future of the sport and his ventures outside of fitness. We break down the week in review in supplements news and product launches as well as look at our way-too-early nominees for 2019 Brand of the Year. Listen now! Competitive bodybuilder and MPA Supps owner Matt Porter opens up about his steroid use, staying healthy while on a cycle, having a child while on TRT, his love for bodybuilding, the future of him competing and his supplement line MPA Supps. Robert Oliver, CEO of The Genius Brand, discusses his passion for nutrition and wellness dating back to college, learning the Amazon model and creating a business combining his two passions to help people live longer lives.  Fitness Informant Founder & CEO discusses building a fitness brand to success. He discusses common mistakes he sees in business, especially the sports nutrition world and how to avoid those mistakes. Joshua Schall, owner of JSchall Consulting, has spent many years inside the sports nutrition industry working for large and small companies. Josh now spends his time consulting for these companies. Josh and Ryan discuss the business side of sports nutrition including recent success of brands, the struggles of GNC and how to fix them, what supplement companies are lacking today and how to win in today’s crowded environment with so many brands and Amazon. @RobertFrank615 joins the podcast to give us a glimpse of his life behind the social media character. They discuss his passion for professional wrestling, skipping leg day, being @RobertFrank615 24/7, his work with Steel Supplements, the future of his brand and what he was doing before becoming Insta-Famous. Shane Smith from Stack3d and Mike Roberto from PricePlow stop by the podcast and discuss how their three supplement centric platforms are similar and how they are different. They discuss their beginnings, the best supplements of all time, the worst supplements of all time and who they think takes home the brand of the year award in 2018. This is a MUST listen for sports nutrition fans. Ashley Horner, the Woman of Iron, is the first female guest on the “Be Informed. Live Fit.” podcast. Ashley discusses her time breaking into the fitness industry, and how to survive and thrive as a female. She made over $1 million before she was 30-years old, but still wasn’t fulfilled. Volunteering and charity work filled that void – we talk about her beginnings in her humanitarian efforts and what the future may hold. Ashley discusses her businesses, fitness goals, motherhood and charity goals in-depth. This is the personal story of Fitness Informant’s Founder and CEO Ryan Bucki talking about his steroid use. Ryan was diagnosed with Hypogonadism in August 2018 and was prescribed TRT to treat it. Ryan takes you though his life stages where he questioned whether or not his hormone levels were correct, and what lead him to ultimately get to the bottom of his symptoms. If you feel like you have symptoms of hormonal misbalance, please get your blood levels checked by a doctor ASAP. BCAAs or EAAs, which do you prefer? REAAL Muscle launched an EAA product using marketing claims backed by a 2017 study by Dr. Wolfe (Branched-chain amino acids and muscle protein synthesis in humans: myth or reality? ), some claims in which people took offense too. We welcome in REAAL National Sales Director Ian Bell and one of those critical of the claims, Kenton Engle, the CMO of Core Nutritionals to debate the topic of BCAAs vs. EAAs and the 2017 Wolfe study. You don’t want to miss this! Subscribe now! Former WWE Superstar turned Sports Nutrition CEO Ryback Reeves joins the show to discuss his transition from professional wrestling into supplements. Ryback still wrestlers full-time, but through trial and error and personal beta tests, he has developed a line of supplements he swears by “Feed Me More Nutrition.” Ryback talks about staying healthy on the road for WWE, why he left and if he will be back. He talks about Feed Me More Nutrition and the future he has in the industry. Joe “Hypertrophy Coach” Bennett is one of the most recognized, well-known and respected trainers in the fitness industry. He’s the head trainer for RedCon1, trained alongside Ben Pakulski (he also explains their separation in this episode), trained Guardian of the Galaxy star Dave Bautista and so many more. Years of experience and education makes Joe a highly sought after trainer by bodybuilders, celebrities and everyday folk like you and me. Not only does Joe train, he competes at a high level in bodybuilding. Learn from the Hypertrophy Coach on how to better your training and become a better version of yourself. On episode 7, the 2x Arnold Classic Champion (2011 & 2012) Branch Warren joins the show to discuss his career in bodybuilding. Branch discusses possible retirement and if he will compete again, talks about the bodybuilding industry today and what it needs to get back to popularity, who is the best bodybuilder of all time, his new company Wicked Cutz Jerkey, his supplement line Black Skull Supplements, proper diet and nutrition and how to train to win. NutraBio CEO Mark Glazier stops by the show to discuss NutraBio’s impact on the “shady” supplement industry. NutraBio has been around for 22-years and thrives on their sales staff educated consumers and retail, Mark talks about that too. Mark talks about the early days of NutraBio and how it started out of his garage. Mark discusses the political environment around supplements and what he is doing to change it. Blackstone Lab’s President PJ Braun joins the podcast and becomes an open book. PJ talks about his bitter split up with his ex-wife, his battle with alcohol and depression and his ugly break-up with former best friend and business partner Aaaron Singerman. Not all is negative news; PJ talks Blackstone Lab’s rise to popularity and where he sees his company going from here. PJ also discusses the FDA’s raid on his warehouse and the status of that. RedCon1 CEO Aaron Singerman stops by the show to discuss his life in the world of sports nutrition. Aaron candidly speaks about his relationship with former best friend and business partner PJ Braun and how that all transpired. Aaron talks about Dallas McCarver and his last days on this earth. We discuss the success of RedCon1 and the future of the brand, both domestically and abroad. One of the most polarizing figures in the fitness industry is Marc Lobliner, CEO of MTS Nutrition. Marc stops by the show to get in-depth on a variety of topics at the forefront of today’s fitness and supplement industry. From BCAAs to TRT, Marc holds nothing back and tells all. We also talk about the Real Weights for Real Heroes event again this year which will feature Marc in a boxing ring to raise money for charity! Kris Gethin stops by the “Be Informed. Live Fit.” podcast to discuss his journey in the world of fitness and supplements. Kris talks about his respect and admiration for Dorian Yates, how Kaged Muscle started as a magazine, writing for BodyBuilding, the future of Kaged Muscle Supplements, training for an Iron Man and what irritates him about the fitness and supplement industry. Kris has many years of experience and so much knowledge on fitness and supplements, as well as he is very respected. Check out this full episode to increase your knowledge on all topics fitness and supplements. On our very first episode, we welcome in one of the greatest bodybuilders of all time, 8x Mr. Olympia Champion Ronnie Coleman. Ronnie gives us an update on his current health, who his biggest threat was on-stage, how he stayed motivated, what his time in the police force was like, his take on today’s racism, being a family first guy and so much more! We asked questions to Ronnie that you haven’t heard him asked before.